On April 12, the New Jersey Senate voted to modify our state’s workers compensation system to increase the amount of money attorneys assisting injured workers can get. Unfortunately, this additional compensation will come directly out of the pockets of the victims themselves. Under existing law, employers and their workers compensation insurance carriers are encouraged to act promptly to settle workers comp complaints. When payments are promptly made, the injured workers get the entire payment, and thanks to the system we have in New Jersey, often do not need to hire an attorney to assist them with their claims. If a worker does decide to hire an attorney and seek additional compensation, state law limits the fee the attorney can charge his or her client to funds he or she is able to secure above and beyond what was originally offered. While ensuring attorneys are fairly compensated is an admirable goal, taking money out of the pockets of injured workers is not a good way to accomplish it. The existing formula fosters good public policy in several ways. It encourages prompt, good faith payments to injured employees. It also ensures that the incentives for litigating claims are aligned with the incremental benefit of the potential litigation. And by discouraging unnecessary litigation, it ensures maximum compensation for employees at a minimum cost to employers. The proposed legislation, by contrast, would amend existing law to undo all of those beneficial incentives. By eliminating the window of opportunity for carriers to make payments that go entirely to the injured party, this bill would weaken the carrier’s incentive to make maximum payments as quickly as possible. And it would encourage attorney involvement at an earlier stage of the process without regard to their incremental value. Tying the fees to the signing of an attorney client agreement simply incentivizes such agreements. And basing fees on total compensation means attorneys would be taking a share of money that carriers would have made absent any attorney involvement – diverting that money to attorneys instead of compensating victims. We understand the desire to ensure that attorneys receive adequate compensation for their efforts – but should not come at the expense of injured workers. This legislation would undo each element of the existing, beneficial, incentive structure, to the detriment of injured employees. Several employment bills will be heading for floor votes on Monday, including two of particular concern to NJCJI. The “Diane B. Allen Equal Pay Act” continues to regulate much more than “equal” pay and would present a significant danger to employers who do, in fact, compensate all employees equally for equal work. S121/A1242, legislation “Concerning Discrimination” would also interfere with the enforceability of widespread employment contract provisions and run afoul of the Federal Arbitration Act. NJCJI members value all employees and do not discriminate in compensation of employees based on gender or any other protected classification. But we continue to oppose this “Equal Pay Act” as currently drafted, as it would impose a new standard that would equate different jobs according to a set of vague factors, with a risk of significant retroactive liability for employers who do not engage in discriminatory pay practices. A1/S104 would change the standard for “equal pay” to a new and uncertain formulation of “substantially similar” work, as measured by similar “skill, effort, and responsibility.” This change alone will bring significant uncertainty, as it would equate entirely distinct jobs in an unpredictable way. Employers can no longer set compensation based on prevailing labor markets – paying the wages necessary to recruit suitable candidates. Other states that have adopted a similar standard have recognized that common factors often account for wage disparities, such as local cost-of-living and working conditions, like risk of injury, night shift, and inclement weather. This bill as currently drafted does not permit accounting for such factors, and it is not clear how employers will fill jobs with more challenging and less-desirable working conditions without paying a wage premium. But whatever the merits of such a standard going forward, the prospect of the retroactive application of that standard, with treble damages imposed on employers for failing to comply with a standard not in effect when compensation was set or paid, presents a risk of significant and inequitable liability. Sponsors have indicated a willingness to mitigate the inequity of retroactive treble damages by capping the back-pay penalty at six years. However, we remain concerned that the amendment in its current form may not effectively cap the back-pay penalty at six years, given the open-ended language regarding the application of the continuing violation doctrine and discovery rule. We also remain concerned that the retroactive application of treble damages does not meet standards of basic fairness, as it penalizes employers who had no reason to believe there was anything wrong with their employee compensation structure. Other states that have imposed treble damages in pay equity legislation have limited their application to “knowing or willful” violations of the law and thereby avoided the inequity of retroactive treble damages. If amended to correct these particular flaws, the bill would still be the most aggressive pay equity legislation in the country. But as currently drafted, it presents a significant risk to employers who do not engage in discriminatory behavior in employment compensation. 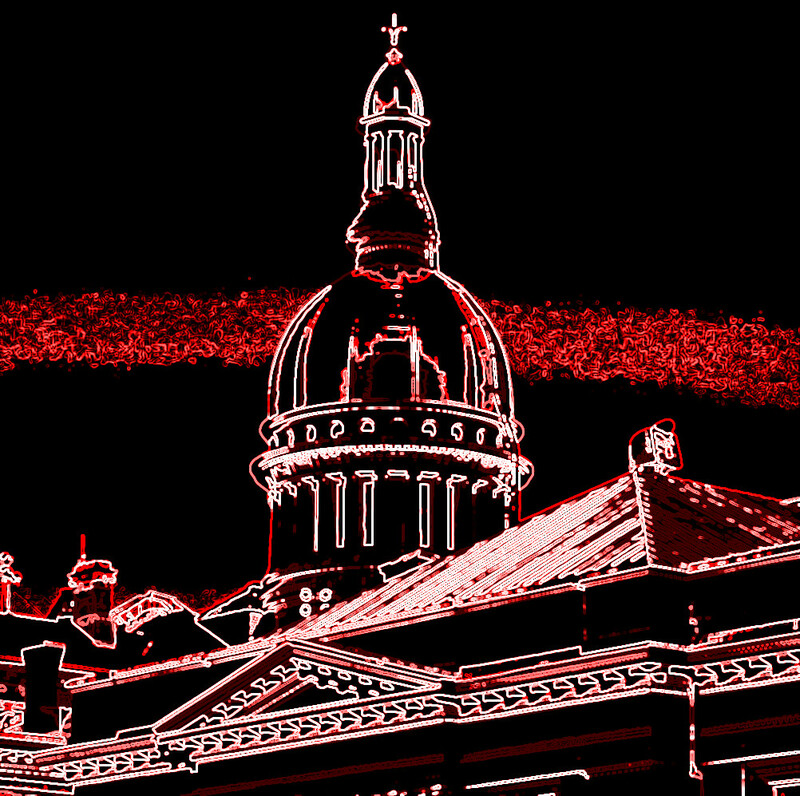 Sparked by a desire to encourage greater transparency in settlement of sexual harassment claims, and concern that non-disclosure agreements (NDAs) can have the perverse effect of allowing such behavior to continue, legislation to restrict the enforceability of NDAs is also scheduled for a floor vote on Monday. Unfortunately, the bill has also become a vehicle for the plaintiff’s bar, which desires a general prohibition on arbitration agreements in employment contracts. By barring waivers of “procedural rights” in employment contracts, which would include essential attributes of arbitration like waivers of jury trials, full discovery, and the like, the bill would prohibit prospective agreements to resolve employment disputes through arbitration. When disputes arise in the employment context, there are two possible tracks: it can be resolved through litigation in court, or it can be resolved through arbitration. The substantive remedies are the same. But while proceeding in court will typically take years to resolve, with massive legal fees, arbitration is cheaper, faster, and more efficient. By reducing legal fees and precluding class actions, arbitration also presents a challenge to the business model of the plaintiffs’ bar. As a result, we have seen an intensive anti-arbitration public relations campaign, coupled with efforts to undermine arbitration in state courts and legislatures. Hostility to arbitration from those who benefit from the litigation business model is nothing new. Which is why federal law since 1925 has defended arbitration as a favored means of dispute resolution and expressly preempted efforts to undermine the enforceability of arbitration agreements. This legislation would attempt to circumvent that preemption by defining state contracts to preclude arbitration agreements. But when a state law prohibits outright the arbitration of a particular type of claim, the analysis is straightforward: the conflicting rule is displaced by the FAA. And the result is the same when state law prohibits essential attributes of arbitration. As a practical matter, a prohibition on arbitration agreements does not benefit the average employee. Arbitration is a faster, more cost-effective way of resolving disputes, and the lower transaction costs inure to the benefit of all employees. Litigation costs, by contrast, function as a transfer of wealth from lower and middle-class employees, to more highly-compensated attorneys. 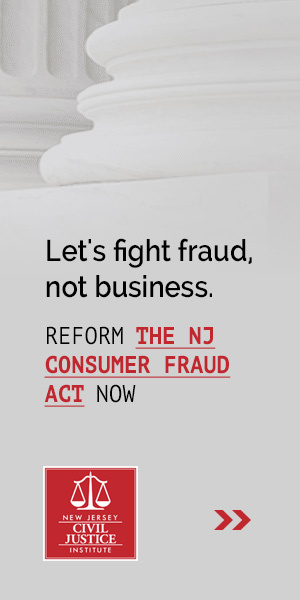 The New Jersey legislature’s attempt to interfere with the protections of the Federal Arbitration Act will result in protracted litigation, culminating in the legislation eventually being invalidated in federal court. And in the interim, it would impose massive litigation costs on employers and employees alike. NJCJI has been engaged in the details of sick leave since early versions were introduced last legislative session. We have focused not on the mandate itself, but on the manner in which it is imposed and the enforcement mechanisms involved in ensuring employer compliance. By that measure, the most recent version of sick leave represents a significant improvement, though two critical flaws in the enforcement mechanism would continue to unduly infringe on workplace flexibility and expose employers to significant and unwarranted liability. It is striking that although the vast majority of New Jersey employers already offer more generous paid sick leave to their employees than would be mandated under the bill, many such employers have nevertheless opposed this legislation since first introduced last session. Under earlier versions, the broad statutory entitlement to paid sick leave, compounded by incentivized-litigation enforcement mechanisms, would deprive those employers of the flexibility to administer their leave policies in a way that deters abuse and is consistent with the needs of their businesses. The Committee Substitute of A1827, sponsored by Assemblywoman Lampitt, is a significant improvement. The bill would ensure greater clarity and predictability, by imposing an effective blanket preemption on all local ordinances to ensure one uniform statewide standard, with one standard of 40 hours of leave for all employers. It would also grant employers more flexibility in deterring abuse of sick leave policies. Employers could require pre-clearance for foreseeable sick leave on “blackout” dates, as well as documentation to confirm non-foreseeable sick leave on those dates. Some flaws in the enforcement mechanism would still expose employers to a risk of unwarranted liability. But that risk, and the overall workability of the legislation, could be significantly improved with a few modest amendments. “Unfavorable” could include a less lucrative shift with worse tips, for service-industry jobs, or working on a lower-profile product for a pending product launch in the consumer-product industry. For employees who travel to client offices, it could mean the difference between working a stint in San Diego or Bismarck. For a business in trade work, it might mean the difference between a prevailing-wage project and a project that pays market wages. But employers need the freedom to make all of these adjustments – the flexibility to move employees around to ensure necessary work is completed in timely fashion is essential to a functional work place. And employers should not have to risk being dragged into court to defend such adjustments. Our second concern is with the presumption for retaliation. The bill would create 90-day window during which any adverse employment action is presumed to be retaliatory, with the burden on the employer to prove that the adverse action was unrelated to the employees’ sick leave-related activity. But in addition to documented and verifiable actions like filing complaints with the Department of Labor or with the courts, the presumption would also triggered by merely speaking to another employee about their rights under the law. The critical challenge of a paid sick leave mandate is balance. The shift from voluntary policies to statutory entitlement will necessarily entail some lost flexibility, even for employers who already offer sick leave. But the sponsors’ core objectives can be achieved while preserving significant employer discretion. The remaining challenge to a workable bill is ensuring that enforcement mechanisms in the bill accommodate the practical challenges of running a business, and don’t penalize employers for taking the necessary steps to ensure that work gets done. Much of the discussion on S121 focused on helping the victims of sexual harassment. And indeed, one element of the bill would specifically address non-disclosure agreements for discrimination or sexual harassment settlements. But the prohibition on waivers of “procedural rights” would apply to all employment contracts and would prohibit all prospective agreements to resolve any type of employment dispute through arbitration. When disputes arise in the employment context, there are two possible tracks: it can be resolved through litigation in state or federal court, or it can be resolved through arbitration. The substantive remedies are the same, regardless of which mechanism is selected. But while proceeding in court will typically take years to resolve, with massive legal fees, arbitration is cheaper, faster, and more efficient. And money not spent on the legal fees associated with exhaustive court proceedings and discovery is instead available for employee compensation and business development. But by reducing legal fees and precluding class actions, arbitration also presents a challenge to the business model of the plaintiffs’ bar. And as a result, we have seen an intensive anti-arbitration public relations campaign, coupled with efforts to undermine arbitration in state courts and legislatures. S121 would attempt to circumvent that preemption, essentially by defining state contracts to preclude arbitration agreements. But when a state law prohibits outright the arbitration of a particular type of claim, the analysis is straightforward: the conflicting rule is displaced by the FAA. And the result is the same when state law prohibits essential attributes of arbitration. S121 would attempt to impose all of these “obvious illustrations” of invalid state restrictions on all New Jersey employment contracts. 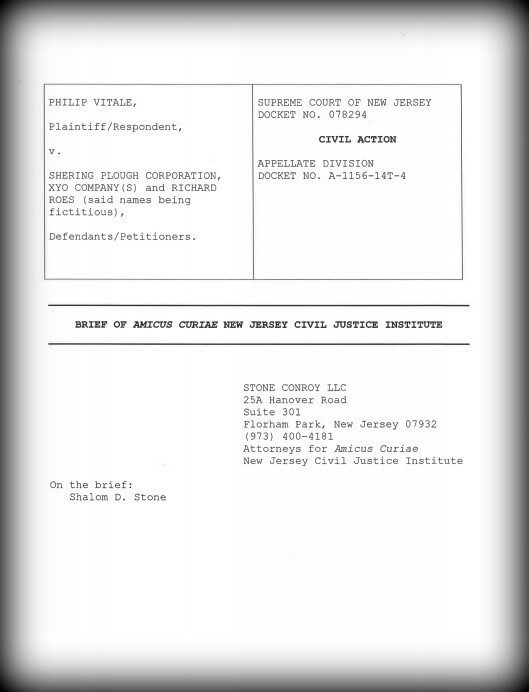 The New Jersey legislature’s attempt to interfere with the contractual protections afforded by the Federal Arbitration Act will result in protracted litigation, culminating in the legislation eventually being invalidated in federal court. And in the interim, it would impose massive litigation costs on employers and employees alike.